The report is devoted to the impact of the euro currency on the economic dynamics of the European Union. 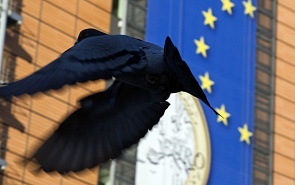 The author takes a critical position vis-à-vis the euro, the report argues that the only beneficiary of the Eurozone is Germany, and all other EU countries lost more. In this context, the author examines in detail the impact of the euro on the economy of France. The European Union is currently experiencing a profound crisis that goes beyond the economy and touches on its very identity. And it was the euro that caused this crisis. Intended as the pinnacle of European integration, the single currency paved the way to the EU’s decline. It is corroding the economic and social foundations of Eurozone countries, undermining democracy and gradually leading to tyrannical behavior, sparking an unprecedented populist backlash. Jacques Sapir is Director of studies at École des Hautes Études en Sciences Sociales (EHESS) in Paris, and Head of the Centre d’Étude des Modes d’Industrialisation (CEMI-EHESS), France.